Please help Interfaith brighten the Holiday Season in our community by offering your support. Holiday GIVING provides families, children, and Seniors with gifts and food to make their Holiday season special. Choose one or all of these wonderful ways to give! Participate Now in Holiday GIVING! We will have both small and large families available for adoption! 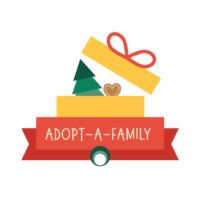 The total cost of adopting a family with one child is approximately $100, with an additional $75 cost for each additional child in the family. 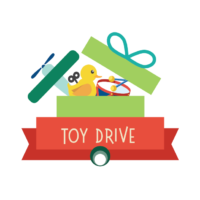 Provides new toys and gifts from community donors for children and teens, distributed during the Holiday Season. Click here for local donation drop-offs. Provide holiday cheer to a local Senior Adult for a cost of $55. Each family enrolled in Holiday GIVING receives food and a gift card to prepare a traditional holiday meal. Interfaith will match you or your group with a family and provide their list of gift ideas. Gifts are due to Interfaith by 3 p.m. on Friday, November 30. Interfaith will provide you or your organization with a list of gift suggestions, and if needed, provide you with an Interfaith Toy Drive Collection Sign and a collection box. Please contact Interfaith with your specific information to facilitate the collection and drop off of gifts. Gifts are due to Interfaith by 3 p.m. on Friday, December 14. Click here for ideas! Or, click here for our drop-off locations. 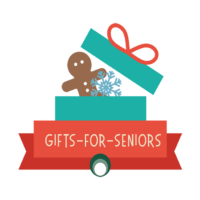 Interfaith will match you or your group with a senior and provide his/her gift idea. Gifts are due to Interfaith by 3 p.m. on Monday, December 3. Organize a food drive and collect non-perishable items to fill Interfaith’s pantry shelves, or coordinate a turkey drive to give the gift of a holiday meal experience. See the next section on gift cards. Click here to see our Holiday Food Pantry needs. Interfaith will accept Wal-Mart and/or grocery gift cards in $25 increments, which we will distribute to families and seniors for holiday assistance.